We’re into single figures now in the Blog Of Much Metal Album of the Year 2014 countdown. It has been a real challenge this year due to increasing pressures on my time but I feel compelled to continue so that I can offer my thoughts on the best music that the rock and metal worlds have to offer. If you’re interested in reading the posts from 20 down to 10, the links for these can be found at the bottom of this post, alongside links to the entire 2012 and 2013 lists. But back to today and at Number 9, I bring you an album by a band that I’ve mentioned a few times on this blog and who are deserving of more attention from the wider metal community. It has been said within the confines of this Blog many times that this Australian band’s 2000 release, ‘Tangled In Dream’ holds a place in my top 5 albums of all-time list. Having discovered it a little by accident,it quickly became a firm favourite of mine. Since then, given my overly lofty expectations, none of their subsequent releases have quite the same heights. They’re not bad albums, far from it. 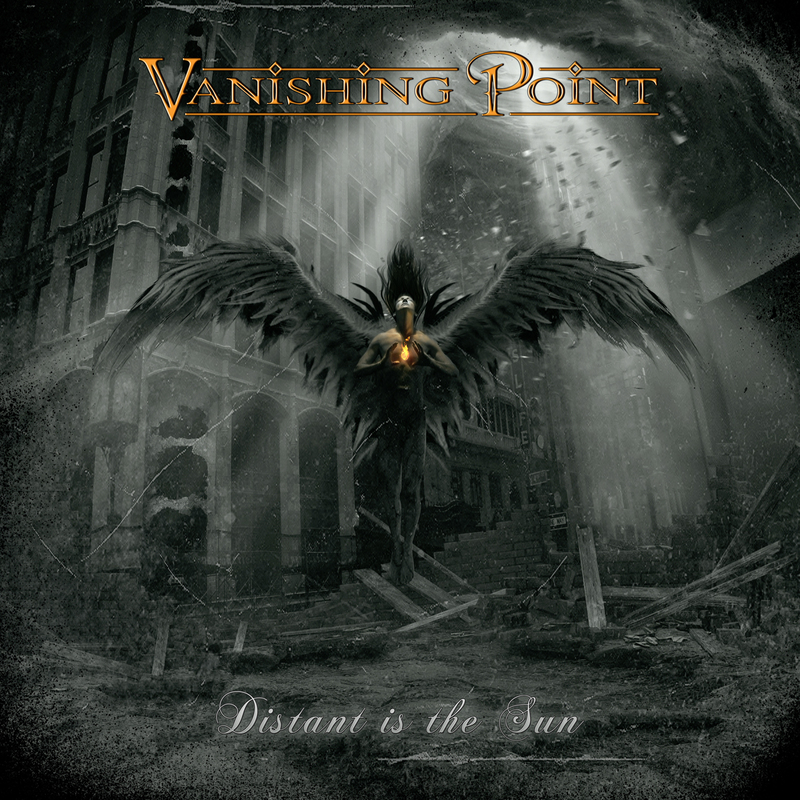 It’s just that when Vanishing Point fire on all cylinders, they are frighteningly good and one of the very best exponents of the prog tinged melodic metal niche subgenre. In fact, they’re damn near untouchable. Brand new album ‘Distant Is The Sun’ falls into this category, pushing ‘Tangled In Dream’ very close indeed. In fact, this is the best this quintet have sounded for a decade and a half and the record has really impressed me. The fact that it still holds a place in this list in spite of being released very early in the year speaks volumes for its continued impact upon me. It is a heavier, darker affair than many of its predecessors, with a true metal vibe that permeates through the huge riffs, chops and the overall tempo of the music which is accentuated by some impressively beefy double-pedal drumming. All too often, melodic metal gets criticised for not having enough bite, but that’s not the case here at all. But neither is there a dilution in the melody on this record. ‘Distant Is The Sun’ features some of the best and most memorable choruses of the band’s career, not to mention bucket loads of headbang-worthy groove that’s immediately infectious. Plus, lest we forget the lush synths which provide depth and a grandiosity to much of the material without ever overstepping the mark and becoming intrusive. In addition, the band benefits once again from the huge vocalists talent of Silvio Massaro, one of the very best that heavy metal as a whole has to offer (heavy metal is not just shouty music). Powerful, passionate and blessed with a fabulously effortless range, Massaro adds just a little bit of that unique magic that can help transform a good album into a truly great album. When all is said and done, this album is arguably Vanishing Point’s most consistent body of work since the turn of the millennium, reinforcing my long held opinion that these Aussies are one of the best melodic prog metal bands out there at the moment.